By current standards, the 123 which has been in production since the 1950s has an authentic retro vibe! A classic design which is practically the same as the one used in Finland already in the early years of the 20th century. 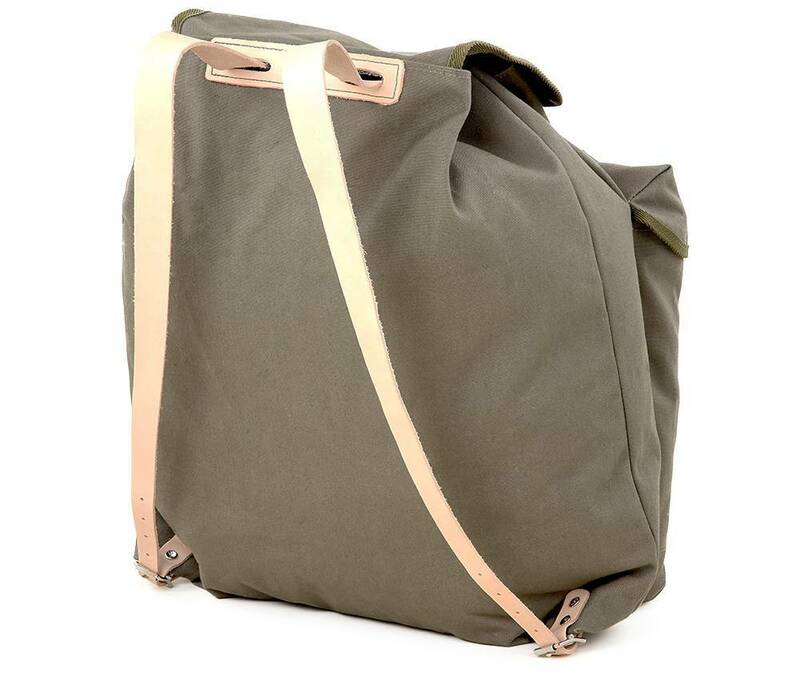 A simple bag with two smaller side pockets, leather shoulder straps and protection flaps with buckles. A stylish choice for hunting as well as everyday use. 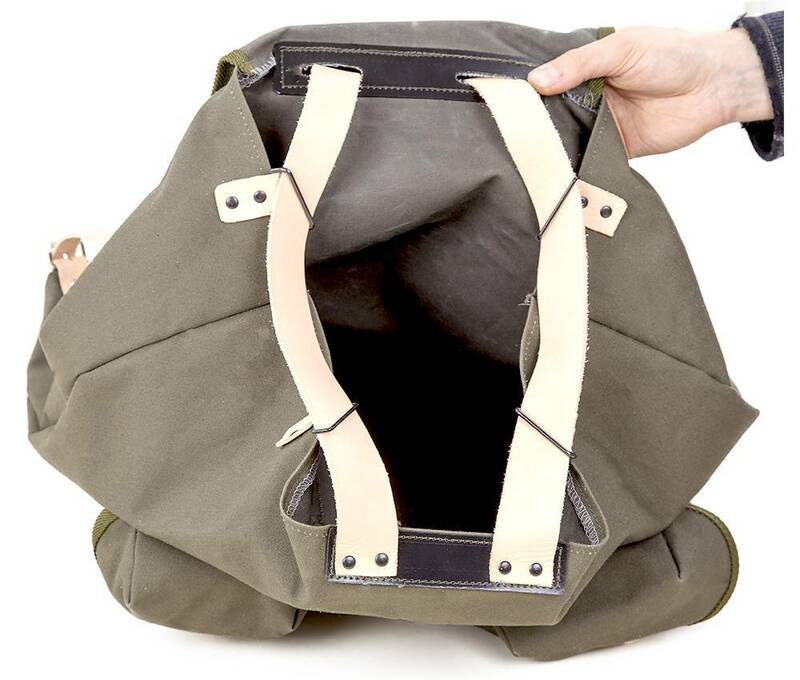 The main compartment of the bag is closed with a large flap secured with a strap. 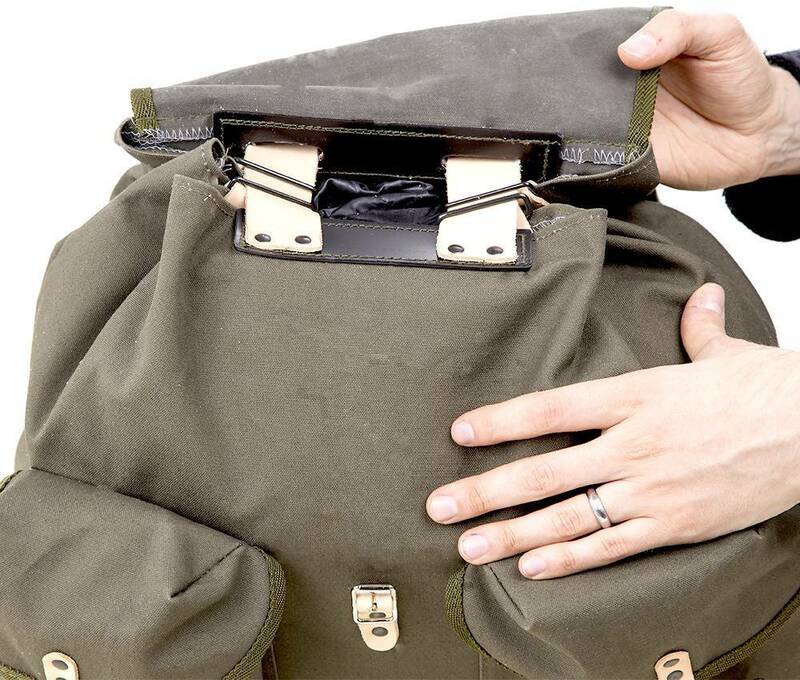 The bag has no further compartments inside, meaning that unusual and even large pieces of equipment fit inside. It is a good idea to pack smartly by, for example, placing folded changes of clothes against the back. This way your backpack will have functional back padding. 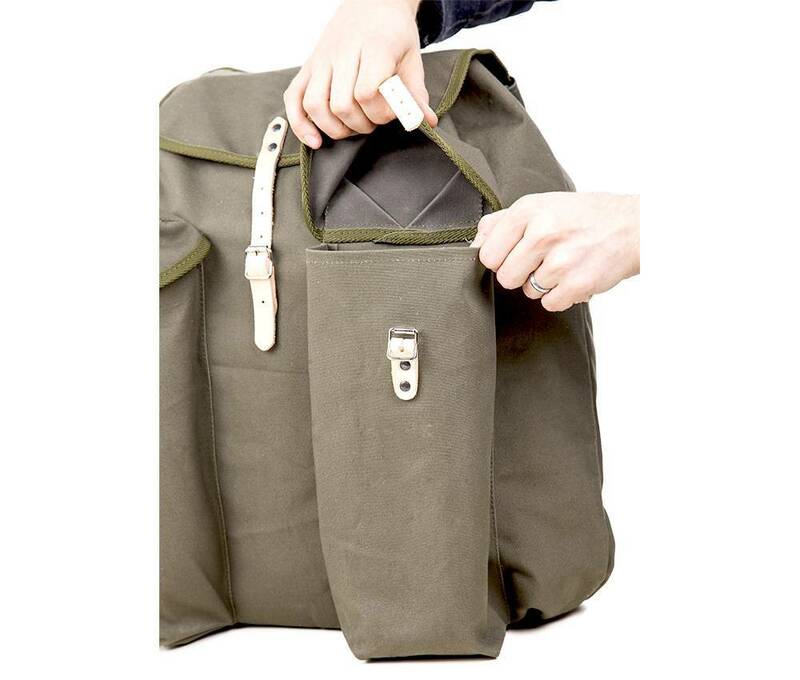 There are two smaller side pockets on the outside of the bag. 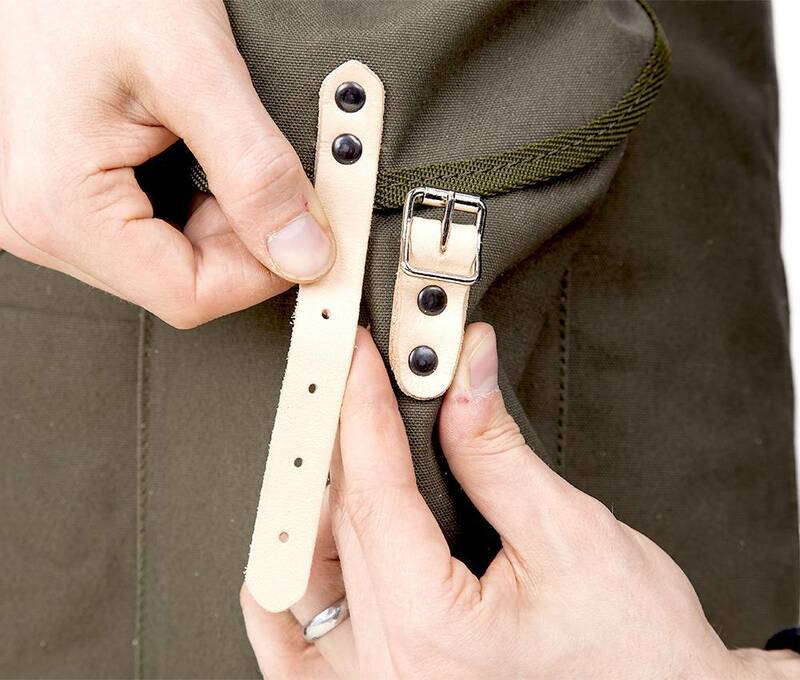 The shoulder straps of the backpack are simple leather straps. Their length can be adjusted with the metal buckles in the bottom corners. 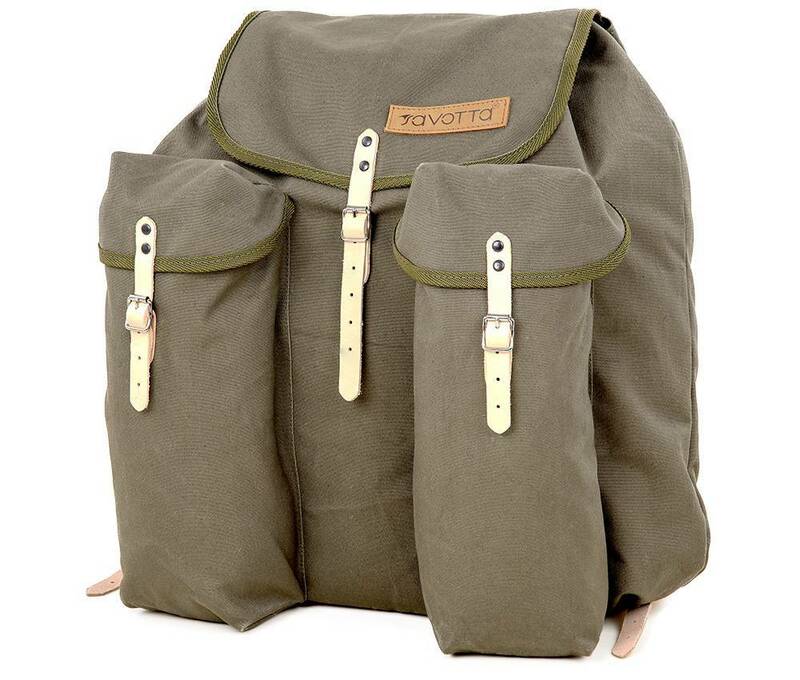 When the backpack is on your back, the upper end of the shoulder straps cleverly tightens the bag firmly shut. External dimensions: height approx. 50 cm, width approx. 50 cm, depth approx. 8 cm.